Healthcare organizations looking to improve secure file transfer processes have discovered the many advantages of Managed File Transfer (MFT) and the GoAnywhereTM Suite. Meeting regulatory compliance with HIPAA and HITECH, connecting multiple office locations or simply updating legacy systems all create excellent opportunities to evaluate the benefits of MFT. "The medical environment is changing with new regulations and mandates to be addressed," says Scott Schwarze, manager of information services at the University of Tennessee Medical Center (UTMC). "We wished for a product that would do most of the heavy lifting." UTMC found itself in a vulnerable position when their only employee capable of maintaining complicated VB scripts became seriously ill. AnMed Health in Anderson, South Carolina recognized they were in a similar position with only one network staffer capable of setting up DOS batch transfers. "With a small staff but large output, the goal was something that all team members could be trained on," said Schwarze. Despite its extensive capabilities, GoAnywhere customers quickly discover the simplicity of scripting and troubleshooting tasks. Lisa Nanney, senior programmer analyst at AnMed Health adds, "when issues do arise, my operations staff can resolve the problem immediately." "Our old file transfer system did not offer automatic auditing," said Nanney. "Because we weren't proactive, it often took a call from a vendor to discover there was a problem." While AnMed Health uses notifications in GoAnywhere to raise alerts on file transfer issues, Cancer Registry of Greater California (CRGC) finds them invaluable in improving workflow. "We knew it was important to manage the flow of documents," states Cory Hamma, systems support manager for CRGC. When files are uploaded by a partner facility, employees are notified of each successful transfer. This establishes a procedure for timely attention to uploaded files and ensures that they don't go unprocessed. One of AnMed Health's initiatives was to eliminate the need for third shift staffing. Their results using the efficient automation tools in GoAnywhere saved programming, operations and network staff over 500 hours a month. A Network Engineer who handled the FTP server spent at least 24 hours a month troubleshooting transfers. According to Nanney, "he doesn't even touch transfers now unless we need connection assistance." But Nanney didn't stop there. She went on to automate many of their insurance claims and payment processing. This recovered over 50 hours of Data Center time in addition to accelerating the recoup of payments. During the evaluation of existing FTP processes for migration to GoAnywhere, the UTMC staff discovered they could eliminate custom processes from the procedure. "By eliminating cut off times for output from SQL jobs, labor hours for SQL developers were cut in half," says Schwarze. 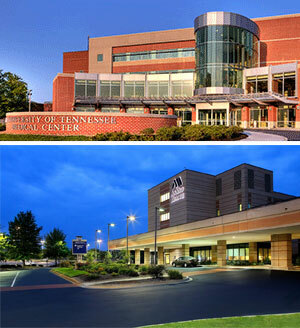 When UTMC was evaluating file transfer solutions "we assumed going in that we could not impact vendors," stated Schwarze. "Most of the vendors provided an SFTP or FTPS connection for file transfers." Their modified policy stated that data must not only go over an encrypted connection, but the files need to be encrypted as well. Schwarze appreciated GoAnywhere's ability to connect to most systems using standard file transfer protocols. Files are then encrypted and compressed using Open PGP and other standards. He added, "HIPAA does not require the double encryption method, but we felt in this technology environment it would be prudent." AnMed Health had several vendors migrate to SFTP, which posed a problem with their old FTP server. "We do transfers with vendors now that would not have been possible without GoAnywhere," said Nanney. CRGC covers a population area of nearly 20 million residents across 48 of California's 58 counties. In order to transmit files between locations, they were utilizing a number of secure email subscription services. Hamma described this being problematic due to, "the file transfer size limitation, lack of organizational control, and complexity for remote users." "Many research files exceeded 1 GB in size," said Hamma, "so the ability to remove that barrier entirely was huge." GoAnywhere also resolved organizational control with its detailed audit logs that ensure accurate documentation of who, when and where files are accessed. For AnMed Health, something as simple as replacing green-bar reporting streamlines operations. Nanney's team now sends reports to a network drive mapped to the IFS, cutting paper costs and eliminating yearly maintenance for "one dinosaur of a printer".